Accurate Metal Sawing has been providing the highest quality metal sawing, cutting and parts finishing services for fabrication and metalworking since 1955. 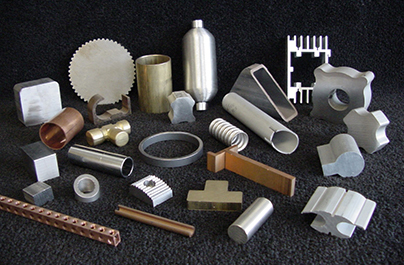 The company provides complete turnkey services for cutting all metals, alloys and composites in a wide range of sizes from ¼ inch to 33.5 inches in round, square or tube stock. We have modern sawing and cutting equipment that can handle product up to 50 feet in length and up to 44,000 pounds, with tolerances of +/- 0.005. Accurate Metal Sawing is located in Northeast Ohio with reliable service throughout the Midwest. Product can be shipped directly to our on-site 60,000 sq. ft. warehouse for fastest processing. Services include inspection, storage, computer-generated inventory reports, turnkey manufacturing, parts finishing and on-time delivery. Our world-class customer service has earned the trust and respect of customers for decades. Call or email for a Free Quote.